During the past two presidential elections, Barack Obama targeted key voters along the campaign trail by deploying pop culture tropes, especially the sights and sounds of popular music (Gorzelany-Mostak, Love, Deaville, and Saffle 2015). Campaign strategists for the 2016 presidential hopefuls have worked hard to emulate Obama’s success and once more to “capture the cool” by using pop music, celebrities, and social media to boost each candidate’s visibility. But as indicated by the sheer volume of negative press circulating around the musical choices made thus far (including Neil Young’s request for Donald Trump to stop using “Rockin’ in the Free World”), it is obvious that these candidates simply do not demonstrate the same type of pop cultural cachet as their predecessor. Political strategists and their marketing teams have therefore struggled to musically define this new group of politicians and successfully attract new supporters. Advertising campaigns for two candidates in particular have received substantial public attention for their failure to gain positive responses from their respective parties. A little more than a year ago, a super PAC commercial titled “Stand with Hillary” attempted to create momentum for Clinton’s forthcoming announcement of her intent to run for president. Political strategist, Daniel Chavez, designed it to look and sound more like a country music video than a political spot. Viewers found it so puzzling that many questioned whether or not it was a joke. More recently, the campaign for Dr. Ben Carson, a front-running Republican candidate, released a rap-styled radio commercial bearing the title “Freedom.” The juxtaposition of Carson’s musings on American values with an endorsement by a lesser-known political rapper, Aspiring Mogul, left audiences unconvinced about the credibility of Carson’s hip hop affinities. These two commercials perfectly highlight the difficulties that marketers face when using popular music for political causes. In what follows, I briefly outline the main lessons that these spots can teach us (and campaign strategists) about the nuance required for mobilizing pop music to support party agendas. I also reference the precedents for using pop music as set by national brand advertising and offer brief readings of each spot to illuminate reasons why contemporary audiences found these commercials neither musically appealing nor politically persuasive. Discussions about the increased prevalence of popular music in national brand advertising often revolve around the perceived “suitability” of the musical track to accurately represent the brand and its product (Klein 2009, 79–81). Many audiences believe that the “values” of the advertised item should align with the ideals of the musicians, songs, and genres chosen to represent it. Public commentary about the (mis)use of country idioms in “Stand with Hillary” as well as the unconvincing employment of hip hop tropes in Carson’s “Freedom” confirm that the “suitability” of musical choices is equally (if not more) vital for political spots as for corporate ads. As the advertised “product,” each candidate’s political values should have obviously aligned with the chosen musical genre for the commercial so that the track could support (and not distract from) the party’s messages. It seemed, however, that instead of matching the music to each candidate, marketers tried to match it to the perceived tastes of the target audiences, who in both cases did not represent the candidate’s core supporters. Ben Carson’s campaign created a hip hop-themed commercial that hinged on the belief that the genre’s tropes provided the “language” best understood by young African American voters. Carson’s team admitted that if he won the party nomination, he would need support from at least 20% of the African American population to beat Clinton. However, Carson’s attempt to “speak” hip hop proved unsuccessful for many reasons, not least of which was the fact that he had publically criticized the genre for “destroying” African American communities and values. Audiences were therefore skeptical about the authenticity of the spot and its intentions. Lesson two confirms that when audiences are dissatisfied with a commercial’s musical track—especially when it is the vehicle for relaying the branding message—it can actually render the product—or in this case, the candidate—less appealing. Corporate advertisers have known for decades that there is such a thing as bad press, and when pop music mishaps occur, they become bad for business. Similarly, poor musical choices on the campaign trail have embarrassed politicians for decades as top musicians have demanded that candidates remove hit songs from their playlists (see the Trax article by Kasper and Schoening). In order to avoid the potential bad publicity caused by using pre-existing songs, political strategists have gravitated towards creating new tunes that attempt to evoke the styles of contemporary music—a well-worn practice for national brand advertising (Taylor 2012). A fairly recent and successful example of this was a 2008 music video endorsing Barack Obama that featured his campaign slogan, “Yes We Can.” The video essentially functioned as a political commercial: it featured acoustic guitar harmonies that supported will.i.am and other young celebrities singing along with a recording of Obama’s speech at a New Hampshire primary rally. By transforming Obama’s “Yes We Can” slogan into a repeated melodic hook and pairing it with specially-composed tunes sung over his motivational phrases, strategists made his platform singable and therefore more memorable. The song’s mashup of musical tropes also worked well in its homage to 1960s political folk-rock and emulation of contemporary rhythm and blues. The perceived originality and authenticity of the track attracted a host of influential celebrity performers, who in turn made the video alluring to potential voters. Ben Carson’s 2015 “Freedom” spot follows a similar format, but unlike “Yes We Can,” it is more obvious in its status as a commercial—specifically in its straightforward endorsement of the candidate by Aspiring Mogul. In its design to replicate a hip hop track, “Freedom” is paced by a syncopated flute loop and a chanted hook (“Vote-Vote”) that repeats in every bar. Mogul performs short, rapped phrases that frame the spot: “Vote and Support Ben Car-son, for the next president, would be awe-some.” Listeners criticized Mogul’s flow as “low” quality, because his phrases lacked the smooth delivery, clever word choices, and rhyme schemes typical of rap music. In addition to the absence of nuance or subtlety from Mogul’s rap and the commanding hook, the track lacks the production quality that audiences expected from a well-crafted hip hop track. The spot attempts to emulate Obama’s “Yes We Can” by featuring sound bytes of Carson waxing poetic about America’s greatness, the price of freedom, and fighting for future generations. But it fails to be musically persuasive as Carson’s gentle vocal timbre and generalized reflections prove ill-matched to Mogul’s assertive style and the repetitive hook. Accordingly, listeners found that Carson’s lines sounded “somber” against the upbeat track—an incongruity that ultimately undermined the motivational intentions of his speech. “Stand with Hillary” suffers from similar musical deficiencies. It opens with sparse acoustic strumming and sliding guitar phrases that accompany images of the overtly masculine posturing of an unknown actor (or perhaps, an aspiring musical star). He dons the hat, boots, jeans, and guitar stereotypical for solo country music performers. In his attempt to emulate the story-telling ballade style of country hits, the singer croons nebulous phrases about “a defining moment” and “hindsight” followed by a verse asking men to break the proverbial glass ceiling. This leads into the chorus where he reflects on Clinton’s womanhood and familial roles by comparing her to his own wife and daughter. Visually, images of Clinton and her family are interspersed with the “cowboy’s” recollections of “the women in his life.” We also witness performance footage and a brief clip showing the singer’s wife rescuing him when his truck runs out of gas. By showing the “cowboy” jump onto the back of his wife’s motorcycle, the spot likens Clinton’s potential future leadership to the tasks that women perform everyday. Corporate marketers have historically favored using popular music tropes due to the familiarity they bring to commercials (Taylor 2012). But as Lesson Two makes clear, the problem with counting on viewers’ familiarity is just that: when audiences know how “good” music in a given genre and style should sound, they quickly recognize when a track fails to meet expectations. So when “Stand with Hillary” fell short of Thomas Rhett’s hits and “Freedom” sounded neither like Kendrick Lamar nor particularly old school (as was its intent), voters noticed. In fact, both tracks were explicitly dubbed “awful” and Carson’s commercial even earned the moniker “hate-listen” of the day. Twenty-first century audiences are media savvy. It is not surprising, then, that they quickly deciphered the true agendas of both commercials: “Freedom” used hip hop tropes to amplify Carson’s “African American credibility,” while the conservative country clichés in “Stand with Hillary” sought to remind working families (and specifically white males) of Clinton’s “gender credibility.” Critics therefore strongly expressed their resentment towards these attempts at musical pandering and essentialism. In a piece that surveys the history of hip hop’s resistance to Republican politics, Issie Lapowsky condemns Carson’s commercial for these traits, concluding that it “comes across as pure condescension.” This journalist and others who spoke out expressed their disgust for the fact that Carson’s campaign had ignored the historical relevance, nuance, and artistry of hip hop culture and criticized its assumption that a spot vaguely reminiscent of the genre might lure young African American voters to its camp and make the candidate appear relevant to them. I would add that the perceived insincerity of the commercial also stems from its avoidance of discussing Carson’s political platform. In fact, “Freedom” offers no specific information at all, leaving audiences to guess why he would be the best choice for office. “Freedom” thus proved as politically de-motivating as it was musically obtuse. “Stand with Hillary” was equally offensive, although I would point out that it is mostly demeaning to the candidate herself. As a type of political “reference letter,” this commercial reminds me of a set of guidelines currently circulating on social media that outlines the dos and don’ts of writing recommendations for women. The spot noticeably breaks every rule listed for avoiding gender bias: not only is Clinton’s voice muted in favor of the “cowboy’s” presentation of her familial duties, but the gendered words used to describe her, specifically “caring” and “hardworking,” speak only to her potential and ignore her long list of political accomplishments. Indeed, like the Carson spot, it does not mention any of her political policies or experiences. According to the commercial, the only “job” worth acknowledging is the support she gave to her husband and daughter. As an obvious attempt to bolster Clinton’s “likeability” (a theme unpacked in a previous Trax post), the spot’s puzzling agenda, annoying musical track, misogynistic undertones, and political pandering unintentionally left audiences cringing. While it may be difficult to understand how anyone might think that these commercials and their gawky musical pairings were a good idea, it is important to realize that neither national brand nor political advertisers have figured out a winning formula for placing popular music tracks in commercials. Large corporate brands have spent billions experimenting with the principles of “sonic branding” (Powers 2010). And unless a song is performed by a hit artist who endorses a particular candidate, political marketers have been generally less enthusiastic about employing pop music in commercials—largely due to the high costs that musical gaffes could have for presidential hopefuls. Looking forward to the remaining months in the 2016 campaign, there is no doubt that popular music will continue to play a major role in marketing endeavors. It will be interesting to see if and how the remaining candidates can find their musical stride. Barnard, Christianna. “Dancing Around the Double-Bind: Gender Identity, Likability, and the Musical Rebranding of Hillary Clinton.” Trax on the Trail, November 29, 2015. http://traxonthetrail.com/article/dancing-around-double-bind-gender-identity-likability-and-musical-rebranding-hillary-clinton. Bradley, Laura. “This Cowboy Dude Really Wants You to Stand with Hillary.” Slate, December 4, 2014. http://www.slate.com/blogs/xx_factor/2014/12/04/stand_with_hillary_video_super_pac_releases_promotional_music_video_for.html. Deaville, James. “The Sound of Media Spectacle: Music at Party Conventions.” Music & Politics 9, no. 2 (2015). http://dx.doi.org/10.3998/mp.9460447.0009.205. Faircloth, Kelly. “Oh My God, This Song for Hillary Clinton is Beyond Awful.” Jezebel, December 4, 2014. http://jezebel.com/oh-my-god-this-song-for-hillary-clinton-is-beyond-awfu-1666728236. Faulders, Katherine. “Listen to Ben Carson's New Rap Ad Aimed at African-American Voters.” ABC News, November 5, 2015. http://abcnews.go.com/Politics/listen-ben-carsons-rap-ad-aimed-african-american/story?id=34988082. “Fox and Friends Stoops to Attacking Hilary Clinton over Her 2016 Spotify Playlist.” Media Matters for America, June 16, 2015. http://mediamatters.org/video/2015/06/16/fox-amp-friends-stoops-to-attacking-hillary-cli/204010. Gold, Matea. “As Hillary Clinton Ponders 2016, Clinton-themed Super PACs Seek a Piece of the Action.” Washington Post, December 4, 2014. https://www.washingtonpost.com/news/post-politics/wp/2014/12/04/as-hillary-clinton-ponders-a-bid-clinton-themed-super-pacs-seek-piece-of-the-action/. Gorzelany-Mostak, Dana. “‘I’ve Got a Little List’: Spotifying Mitt Romney and Barack Obama in the 2012 U.S. Presidential Election.” Music & Politics 9, no. 2 (2015). http://dx.doi.org/10.3998/mp.9460447.0009.202. Horowitz, Jason. “Hillary Clinton Aims to Capture the Cool.” New York Times, May 22, 2015. http://www.nytimes.com/2015/05/24/fashion/hillary-clinton-aims-to-capture-the-cool.html?_r=2. Kasper, Eric T. and Benjamin S. Schoening. “The Unwelcome Use of Musical Artists and Their Songs by Presidential Candidates.” Trax on the Trail, December 18, 2015. http://traxonthetrail.com/article/unwelcome-use-musical-artists-and-their-songs-presidential-candidates. Klein, Bethany. As Heard on TV: Popular Music in Advertising. Burlington, VT: Ashgate Publishing Company, 2009. Kreig, Gregory J. “What is a Super PAC? A Short History.” ABC News, August 9, 2012. http://abcnews.go.com/Politics/OTUS/super-pac-short-history/story?id=16960267. Lapowsky, Issie. “Twitter Reacts to the Ben Carson Rap That Shouldn’t Exist.” Wired, November 2015. http://www.wired.com/2015/11/twitter-reacts-to-the-ben-carson-rap-that-shouldnt-exist/. Larson, Leslie. “Ben Carson Blasts Hip-Hop for Hurting African-American Communities.” Business Insider, April 6, 2015. http://www.businessinsider.com/ben-carson-blasts-hip-hop-2015-4. Love, Joanna. “Branding a Cool Celebrity President: Advertising with Popular Music in the 2012 Election.” Music & Politics 9, no. 2 (2015). http://dx.doi.org/10.3998/mp.9460447.0009.203. Millard, Drew. “Ben Carson's Rap Radio Ad Is an Embarrassment for Everyone.” Vice, November 5, 2015. http://www.vice.com/read/ben-carsons-rap-ad-republicans-dont-understand-hip-hop-115. Moss, Marissa R. “Hear ‘Stand with Hillary,’ a Countrified Bid for Clinton in 2016.” Rolling Stone, December 4, 2014. http://www.rollingstone.com/music/videos/hear-stand-with-hillary-a-countrified-bid-for-clinton-in-2016-20141204#ixzz3vYLqq7lC. “New Celeb-Filled Music Video for Obama.” ABC News, n.d. http://abcnews.go.com/Politics/story?id=4231523&page=1. Oh, Inae. “Ben Carson’s Rap Ad Is Here to Ruin Your Day.” Mother Jones, November 5, 2015. http://www.motherjones.com/mojo/2015/11/hate-listen-to-ben-carsons-new-rap-song. Ortiz, Eric. “Stop Rockin’: Neil Young Blasts Donald Trump for Using Classic Song Without Clearance.” NBC News, June 16, 2015. http://www.nbcnews.com/politics/2016-election/donald-trump-told-stop-playing-neil-young-hit-following-presidential-n376731. “Pepsi Cancels Madonna Ad.” New York Times, April 5, 1989. Powers, Devon. “Strange Powers: The Branded Sensorium and the Intrigue of Musical Sound.” In Blowing up the Brand: Critical Perspectives on Promotional Culture, edited by Melissa Aronczyk and Devon Powers, 285–306. New York: Peter Lang Publishing, 2010. Rousselle, Christine. “Stand with Hilary Releases Awesomely Bad Country Song Video.” Townhall.com, December 4, 2014. http://townhall.com/tipsheet/christinerousselle/2014/12/04/stand-with-hillary-releases-awesomely-bad-country-song-video-n1927484. Saffle, Michael. “User-Generated Campaign Music and the 2012 U.S. Presidential Election.” Music & Politics 9, no. 2 (2015). http://dx.doi.org/10.3998/mp.9460447.0009.204. Taylor, Timothy. The Sounds of Capitalism: Advertising, Music, and the Conquest of Culture. Chicago: University of Chicago Press, 2013. 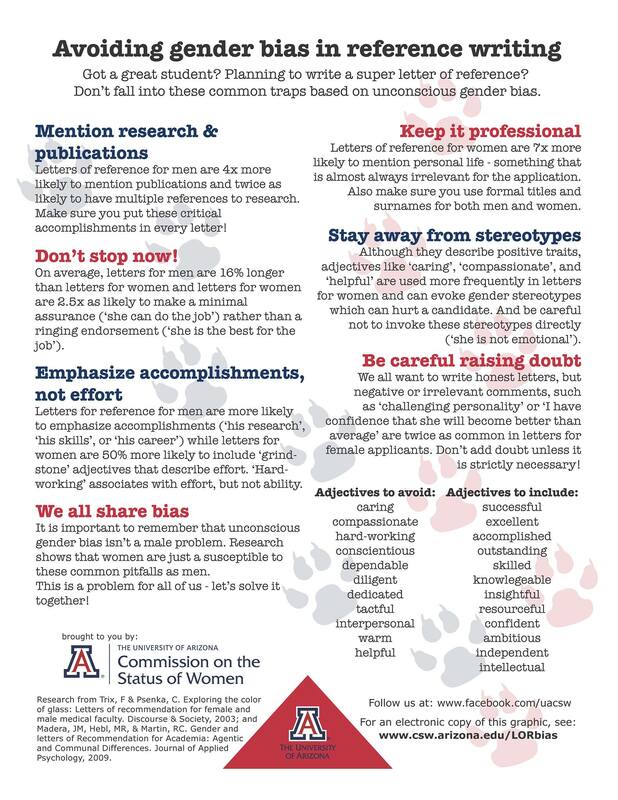 The University of Arizona, Commission on the Status of Women. “Avoiding Gender Bias in Reference Writing.” https://feministphilosophers.files.wordpress.com/2015/11/arizona.jpg. Whitesell, Samuel. “Campaign Music and Fair Use: What are the Rules?” Law Street, October 25, 2015. “Yes We Can Obama Song by will.i.am.” February 2, 2008. Video clip. YouTube. https://www.youtube.com/watch?v=2fZHou18Cdk.